2015 Hyundai Tucson GLS Diamond Silver Metallic Rear Back Up Camera, Blue tooth/ Hands Free Calling!, USB/AUX, INCLUDES WARRANTY, REMAINDER OF FACTORY WARRANTY, ONE OWNER, CLEAN CAR FAX NO ACCIDENTS, BERTERA NISSAN TRADE IN, SERVICE RECORDS AVAILABLE, ALL WHEEL DRIVE, Audio 3.0B w/rearview camera, Automatic Headlight Control, Front Bucket Seats w/8-Way Power Driver, Leatherette seat bolsters w/cloth insert, Option Group 02, Popular Package 02. * JD Power Initial Quality Study (IQS) FOR MORE INFORMATION PLEASE CONTACT OUR INTERNET DEPT 1-844-323-7332. 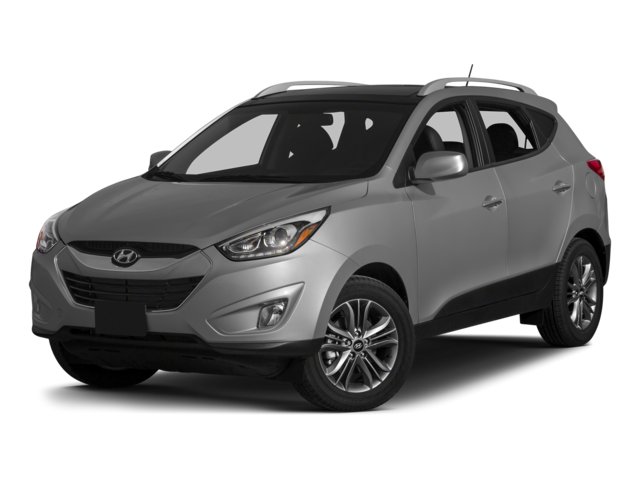 Hello, I would like more information about the 2015 Hyundai Tucson, stock# 18867A. Hello, I would like to see more pictures of the 2015 Hyundai Tucson, stock# 18867A.